Deadpool returns to the top of the Fantasy Comic League power rankings for the first time since the end of May. Wade shared the spotlight over the summer, but this is the first solo “Hero of the Week” title for a character who finished 2016 in a strong second place. 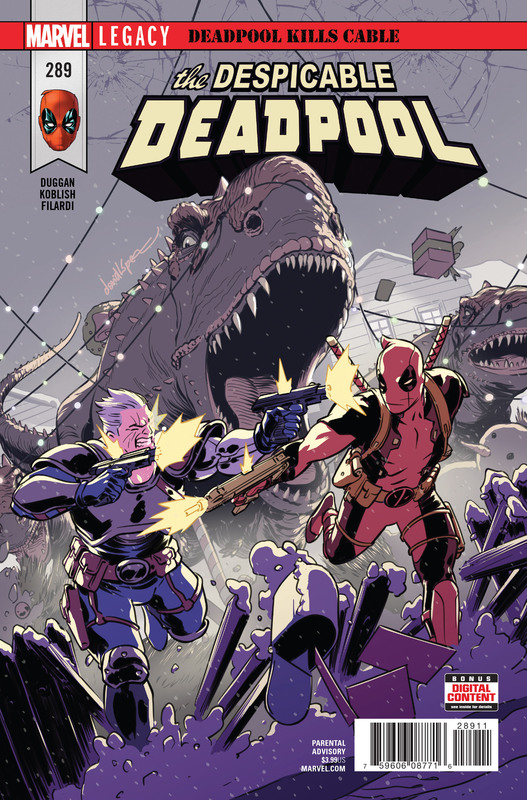 Deadpool scored nine points between two titles as he and his best buddy Cable worked through some more of their recent… strife (rimshot). Kitty Pryde scored eight points and took second place as she led the two X-Men teams towards the conclusion of their Mojoverse crossover. She also popped up in Generation X. Ms. Marvel came in third place with seven points. Kamala took advantage of the new Team Up rules which were put in place last month specifically for Red Dagger (a character must have a superhero persona and have appeared in at least three separate books to qualify as team up worthy). Falcon took fourth place with six points as he continued his team up with Patriot in his new solo title. And the magic number this week was five as six X-Men (including non team member Cable) tied to round out the top 10 heroes of the week. Characters like Colossus, Iceman and Prestige took advantage of the ramped up action in X-Men: Gold to make their presence known in the rankings for once, while Marvel Girl and Storm are no strangers to the recognition. This month’s Runaways pick, Chase Stein, had his moment to stand out, he scored three points and the week’s only Character Development when he rebooted his former teammate, Victor Mancha. Hero and power usages are a combination of all Fantasy Comic League divisions: Knowhere, Midtown, Multiverse and Wakanda. League participants should cross reference the official points with their hero roster and drafted powers for their heroes’ scores. Please make sure to tweet any questions or comments to the official #FantasyComicLeague tag and @MixedMarvelArts for discussion!